People always postpone hiring a qualified plumber in Garden Grove, CA because they are worried about the cost. Call us for plumbing repair or to perform general cleaning, and expect our Garden Grove plumber to be right over in one hour. For us, this is important. Call us the very first moment you suspect that something is wrong with the pipes. So they wait until the last minute, or when the problem has already spiraled out of control, in the effort to save money. We can also check the integrity of your whole plumbing system outside of the leaky portion to determine if they are still okay. Call OC Plumbing Pros 24/7 at (949) 371-8413. Your Water Heater Is in Need of Repair? Call Us: It is never a laughing matter when your water heater breaks down, especially when you have not even finished your bath yet! So, while you may want to entertain the idea of getting a new heater, call us first, and let us see if it is still practical to repair your unit or ditch it for a new one. Having us over also allows us to check if you are using your heater to its full capacity, or beyond its capacity. For instance, when you buy a new one, it will cost you upwards of $1000 plus installation costs. Drain Clogged? We Can Solve That Problem For You: Homeowners tend to overlook the importance of clean drains, until water backflows, refuses to go down the drain, or if at all, is slow to do so. The effects of a clogged drain can be annoying and unhygienic. But we are here to deal with things like this, using our high-tech gadgets and our expertise to safely and completely unblock the clogs from your drains. And what does that imply? Detecting and Repairing Water Leaks: Some leaks, just like slab leaks, for instance, may be hidden somewhere in your Garden Grove property, and they can be difficult to identify, so save yourself the hassle and call on our experts to determine where the leaks are, and make the necessary repairs. Rusty metal pipes and water pressure flow create the perfect storm for a bursting pipe. This is why it is important to detect leaks right away, and fix them too. If your water bills are increasing, despite your water conservation measures, it is mostly like due to an undetected leak. Emergency Plumber Garden Grove – Call Us Now! We Provide Re-piping, Garbage Disposal Repair and Installation Services: From replacing a burst water pipe in your Garden Grove property to rerouting pipes to accommodate building renovation projects, our experts can get the job done in accordance with safety standards. We also have applied for permits and licenses to operate, with the tacit arrangement to be subjected to regulations and oversight from the government. Our technicians did complete the necessary training to secure their license. Therefore, give us a call and we will see if your unit can still work just fine after repairing it. Never, ever try to do this on your own. It’s a complex system of gravity, water pressure and flow. Installing or Repair of Toilet: Just give us a service call, and immediately, our plumbers will come right over to inspect the toilet’s condition and fix it, otherwise, we will be honest in telling you to simply get a brand new toilet. Contact us immediately so we can help protect your family from harm. We have the tools and know how to fix a broken toilet without you having to hole up in some hotel for days. It can put you in total discomfort when you just have to “go” and you realize that the toilet is “out of order”. Aside from that, a dysfunctional toilet can spell bad news for your health, too, especially if there is water leaking out of it in your home. 24-Hour Emergency Services Only Here at OC Plumbing Pros: That’s why we have a hotline that you can call anytime. A plumbing problem can catch you off-guard, disrupting your daily routine, and sometimes, it can potentially damage your structures, as well as your health. As soon as you notice anything that is not quite right with your plumbing system, give us a call so we can respond at once. We know the nature of each problem, but there are issues that are more severe than others. 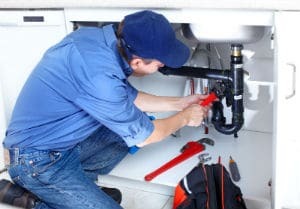 Connect With Our Garden Grove Plumbers Today! Please understand however that while we can give you a price quotation, the estimate may change depending on the results of the ocular inspection. We deliver excellent service all the time, in the performance of our jobs and in our customer care. Our plumbing contractors go the extra mile in providing helpful advice regarding routine plumbing maintenance to ensure your system is at its most efficient state. Contact us today so you can have a better appreciation of OC Plumbing Pros plumbing repair and installation services. Call us today at (949) 371-8413!